Welcome to The Original Snow Village from Department 56-Built with the same traditions and values found in small towns across America. 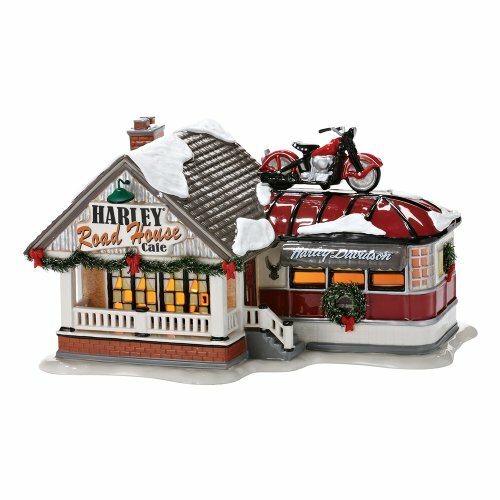 Licensed by Harley Davidson, a long road trip leads to a welcomed stop at the Road House Cafe. Hand-crafted and hand-painted ceramic lit building. Includes light cord and bulb.